Sunday June 22nd – Sunday July 5th—14 days of amazing exhibits. The events are over, but the displays are open for another week. Giovanna Cerise and Daco Monday have created "Thought ... Birth .... Esistence" to SL11B, a work in which nuances and connections intersect and chase each other, take the form, creating our thinking. And the thought is our birth. It creates emotions and ideas and makes us exist .... Otherwise it would be oblivion ... Nothing. "Virtual Helping Hands is a non-profit organization helping individuals from all over the world by coordinating virtual and non-virtual resources to assist with mental, physical and spiritual health. The organization networks via the Internet to work within a global community that reaches out to impact the world around them." 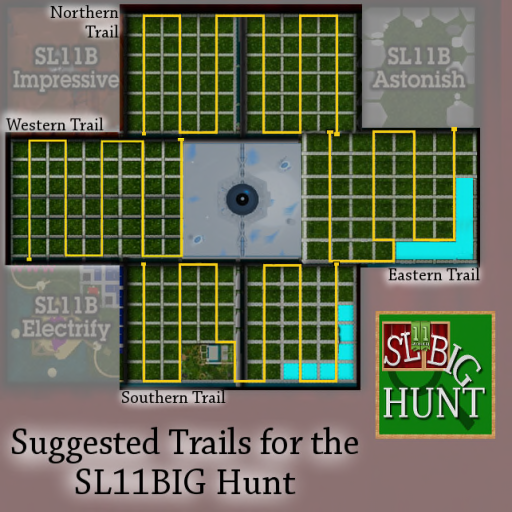 Participating exhibitors will be showing the SL11BIG Hunt sign and will have a cool gift for you to pick up. Explore S11B, pick up your gifts. 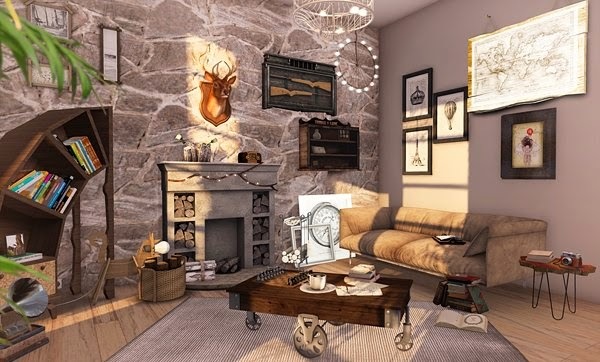 The hunt will take place all over the eleven regions of the SL11B Community Celebration. This hunt is so BIG that there will be FOUR hunt paths… North, South, East, and West. And what a great way to see the celebration! "All Things Aley" is a joint venture between the "Arcadia Asylum Museum and Exhibits" and "The Boardman Preservation Society" groups. Our two groups have come together over a common cause--the preservation and celebration of SL's culture and history, with a focus on Arcadia Asylum's role in it." "It's our opinion that by working together, we are able to promote interest in mainland and mainland culture. We hope that people who come for our "freebies" might look around at the rest of Boardman and become curious about its' history--and from that curiosity to eventually find and become a part of one of SL's many mainland communities themselves. "We hope that this partnership will act as a model for other mainland communities who desire a boost in viewers and participants." SL11B: Second Life, the first 11 years. 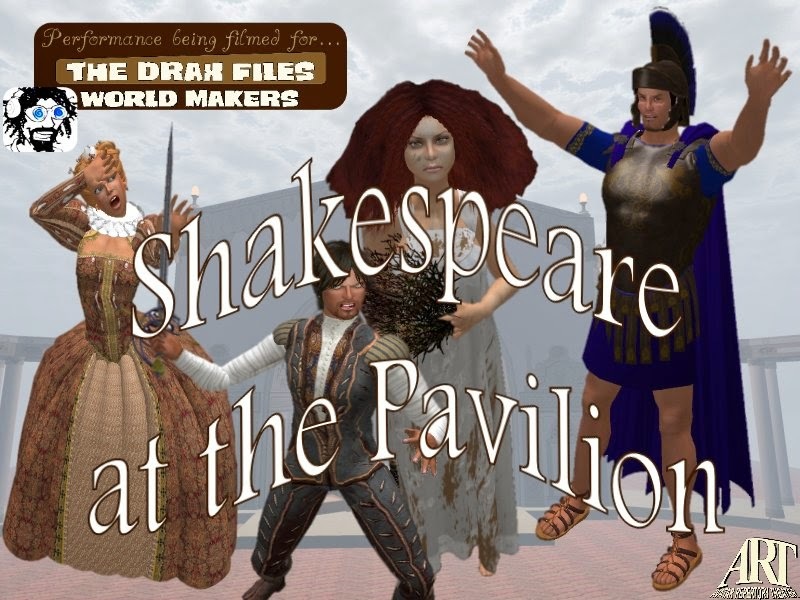 Sunday June 22nd – Sunday June 29th—seven days of amazing exhibits, music, conversation, debate, firework displays, games, puzzles, sports and everything else the wonderfully inventive communities of Second Life™ can pack into seven days and 11 sims. And seven more days to explore, after the events are over. 2014 SEE: BIZ: Gardens and homes. The decorator story. And how it could become a business. Gardens and homes. The decorator story. And how it could become a business. Photos from: Carol's style, Home sweet home! Market your interior decorator services. Market your garden design services. Show a room or garden, before and after. Show a room or garden makeover. With arrangements from the product sellers. To compensate you for advertising their products. Could somebody make a business out of that? Has somebody made a business out of that? 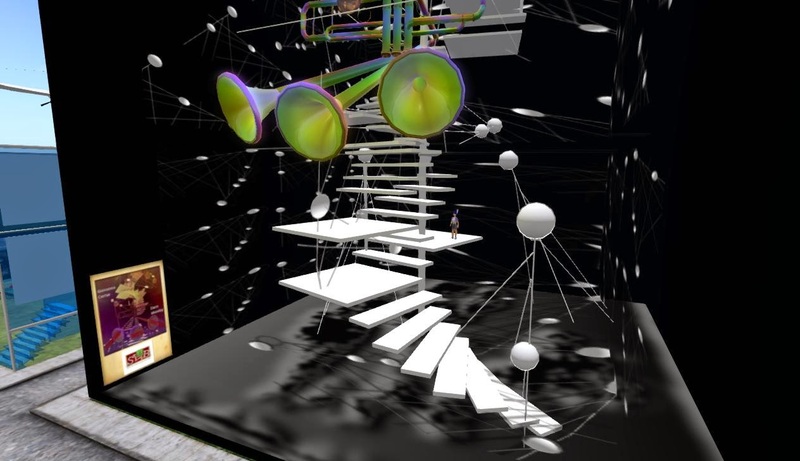 Frankx Lefavre’s full sim futuristic desolation installation is a story come to life in 3D visualization ! The richly colored sim is great for photographers and film artists and is fun to explore, as well. Van Gogh in a virtual world. In video and song. Conducted together with Kurt Winkelman from the Florida Institute of Technology, the study comparing physical and virtual lab is funded by an NSF grant .. and learning in virtual worlds creates a strong sense of being together and collaborating in one shared space irrespective of physical location powerfully transcends - via avatar-based interaction - the multitude of social issues. "The students using the lab replicated in Second Life had better retention of information than the students using only the physical lab!" Wendy Keeney-Kennicutt from Texas A & M University is excited about the preliminary findings of her study about how the unique affordances of virtual reality platforms like Second Life can Facilitate and Enhance the learning process. - Conducted together with Kurt Winkelman from the Florida Institute of Technology, the study comparing physical and virtual lab lab is funded by an NSF grant and slated to be finished in April 2015. - While the findings [so far] maybe indeed eye-opening for many who have not engaged with virtual reality in an educational context, is pioneering enthusiastic teachers and students alike They can hardly be seen as a surprise: learning in virtual worlds creates a strong sense of being together and collaborating in one shared space irrespective of physical location powerfully transcends - via avatar-based interaction - the multitude of social issues. 3D places in a box. Scenes for immersion. Language learning. See, name, talk about. 2014 TKR: Time Control. Eight things to do every day. You control your time. Or you leave it to something else--your boss, your family, your luck. Here is a first step in taking control of your time. 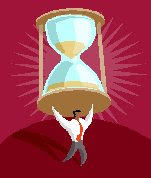 What you need to started on on time control. TODO list: List of tasks you want to get done soon. Goals: Big things you want get accomplished over time. Subtasks: Small tasks that contribute to a big goal. A brief look at the new Kitely Welcome Center. 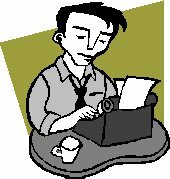 The secret of making comedy videos: Skillful writing. The great Rector and his two agents. All of these figures, except me, are mannequins. They are the size of the characters and dressed as the characters. As of yet, we don't have them in other poses, but they are useful to show the standing height and position for each character in a scene. They are copy-able so we can position multiple copies. Video poem. Beyond Sebgram X-99. Machinima Poem shot in both Second Life and on Kitely - Virtual Worlds on Demand. "Sometimes your love...is like an alien-nation..." Original music by the author. Special encore performance of Shakespeare scenes. Performed LIVE by The Avatar Repertory Theater. YOU can be part of the audience during this shoot! MadameThespian Underhill performs and directs Breyda Adored, Corwyn Allen, Joff Fassnacht, Kayden Oconnell, Ada Radius, Rowan Shamroy, Caledonia Skytower, Sodovan Torok and Avajean Westland. in the showroom at the Lady Garden Cabaret. Please contact Brad Mactavish in Second Life to schedule an audition. 2014 WRITE: A curated blog, what, why, and how. View counts for my top curating pages. A curated blog, what, why, and how? Content curation has now come to mean the act of sorting through the vast amounts of content on the web and presenting it in a coherent way, organized around a specific topic(s) (Macmillan Dictionary ). Bloggers can curate to make their blogs more useful to readers and to bring more readers to the blog. This report mentions some features specific to Blogger, but other blogging software is likely to offer similar features. Access your evergreen (lasting) content in an organized way. You can find relevant articles and link to them. Others can more easily find what they want and use it. Makes your blog more useful to interested readers. Gets additional views for evergreen posts. Backup: Saving your video production set in Kitely. You can save an entire sim in Kitely and in some other Opensim grids. But you need to plan for it. Here is how. You create an OAR file. You download it to your computer. You can make copies and distribute them. You can store the copies where you store your other backups. You can use an OAR file to run the sim . On your own computer, using SOAS. On a third-party OpenSim hosting service. On Kitely, if you need to restore from backup. For OAR files, contents need to have the right permissions. An object created inworld must have copy/transfer permissions. (meaning, that all its assets must be copy/transfer). An object bought from Kitely market must have export permission. 2014 IPRIGHTS: TOS: Nine months: Where do we stand? Where do we go? TOS: Nine months: Where do we stand? This statement is either uninformed or misleading. The concern has never been that you give LL your work. You clearly continue to own your work. No language change is needed to make that clear. But you license SL to sell your work without getting your permission, without paying you, without notifying you, and without even crediting you. Although that response sounded promising, nine months have passed and there has been no change in the TOS. Other statements from Linden Lab claim that they really don't mean that you have given them license to sell your Second Life products anywhere, without paying you and potentially in completion with you. Another clause in the TOS says that such statements, outside of the TOS, have no binding effect on the TOS. Accordingly, the revision to our Terms of Service was made in order to further extend the ability for content creators to commercially exploit their intellectual property through user-to-user transactions across Linden Lab’s other products and services (including our distribution platform, Desura), not just within Second Life. But nine months later, there has been no public announcement from Linden Lab about how it plans to help content creators"commercially exploit their intellectual property". No word about payment to content creators. No word about how LL will provide an accounting of these transactions across Linden Lab's other products and services. Linden Lab, of course, does not need to pay content creators if it sells their products on Desura or elsewhere. At least not those who have accepted the current TOS. From those creators, LL already has a license to sell their products. And the TOS makes no mention of any payments to content creators. Indeed, LL could now be selling such products on Desura or elsewhere. How would anyone know? The TOS says nothing about giving reports or even credit to the content creator. The only way a creator would know whether LL is selling his/her products would be to search the offerings on Desura and elsewhere. Perhaps Google Image Search would help. Where does the language come from? Employee agreements often have similar language. And so does the use of Mattell's web posting site. In the case of Mattell, they are providing to the users a free web posting site. The agreement is quite appropriate when applied to employees, who are being paid to produce the content that the company is claiming to own. Content creators in Second Life, however, are not employees of Linden Lab. Nor is Linden Lab providing them a free service. Linden Lab is well paid for the services it is providing, by those very content creators whose content LL is claiming the right to sell. 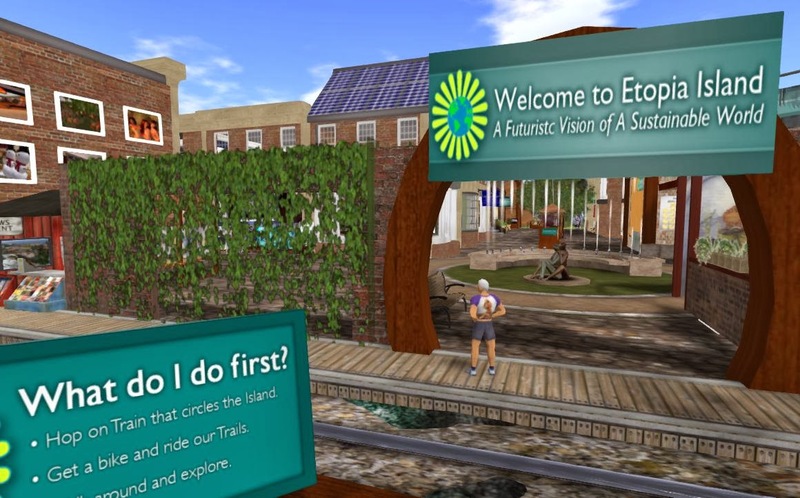 Can you use Creative Commons content in Second Life? I am not a lawyer and cannot give legal advice. If any of the issues discussed here are legally or financially important to you, you should consult a lawyer. Or consider whether you want to keep doing business with a company that forces you to pay for legal advice to protect yourself. Most Creative Commons licenses require attribution. When you use such licensed content in SL, you include attribution. By uploading something, you guarantee to LL that you have the right to use the it this way. But what you are doing has changed. You are now licensing LL to do whatever it pleases with that content. You are licensing LL to omit the attribution. You have no right to issue that license. So if LL omits the license, LL could get sued, right? Right, but you could be the one who pays. if you upload something without having full rights to do that. What options are available to content creators? I am not a lawyer and cannot give legal advice. If any of the issues discussed here are legally or financially important to you, you should consult a lawyer. Or consider whether you want to keep doing business with a company that makes you to pay for legal advice to protect yourself. 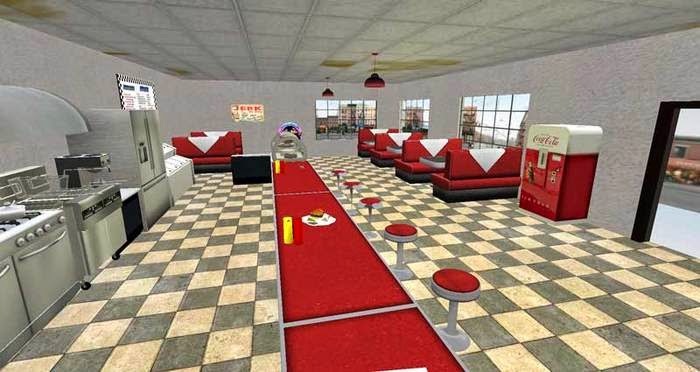 Inworld content creators are people who create content in virtual worlds and expect to sell it to other people in virtual worlds. 1. Stay with Second Life. Unless LL is actually selling your content without paying you, you probably have no basis (and little motivation) for legal action. All you can do is check places like Desura, where they could be selling your content. Meanwhile, check the evidence you can use to establish your date of creation. Is it in the hands of a trustworthy third party? If it is in your hands, how can you establish that you never altered it? If it is on Linden Lab's computers, how do you know it will be there when you need it? Outworld content creators use virtual worlds to create content that they expect to sell in the outworld. Creative content sold in the outworld often loses much of its value if the owner cannot sell exclusive rights. The TOS may deny these creators the claim of exclusive rights, even if LL does nothing more. LL could have removed the problem by a change in the TOS with a clear waiver of that claim. LL has not removed the problem. It is probably too late for LL to do anything about this. 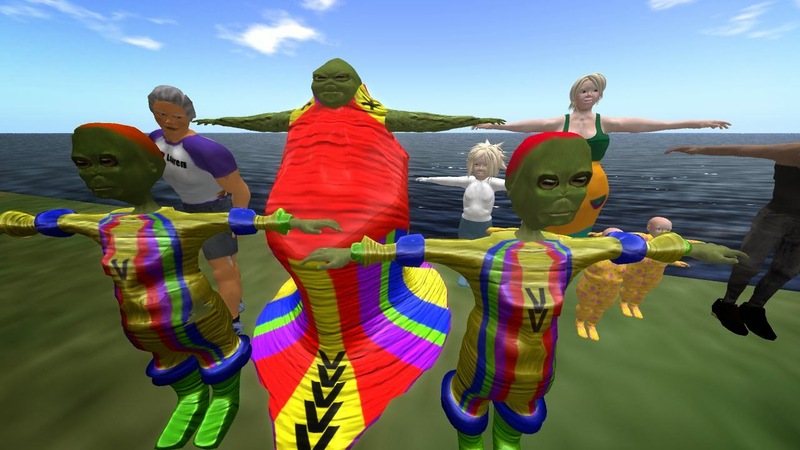 People who are concerned have probably stopped uploading creative content or moved the affected activities to Opensim grids. IPRIGHTS: TOS: Where do we stand? Summary for January.